Dancing Fire's five piece accessory set gives you everything you need to maintain your outdoor fireplace. 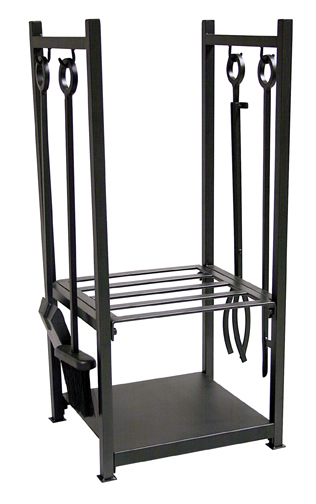 The attractive wrought iron stand not only comes with the necessary tool but it also has a convenient log holder to store your fire wood. This set has a tampico brush. The longest tool is the shovel at 23 5/8".